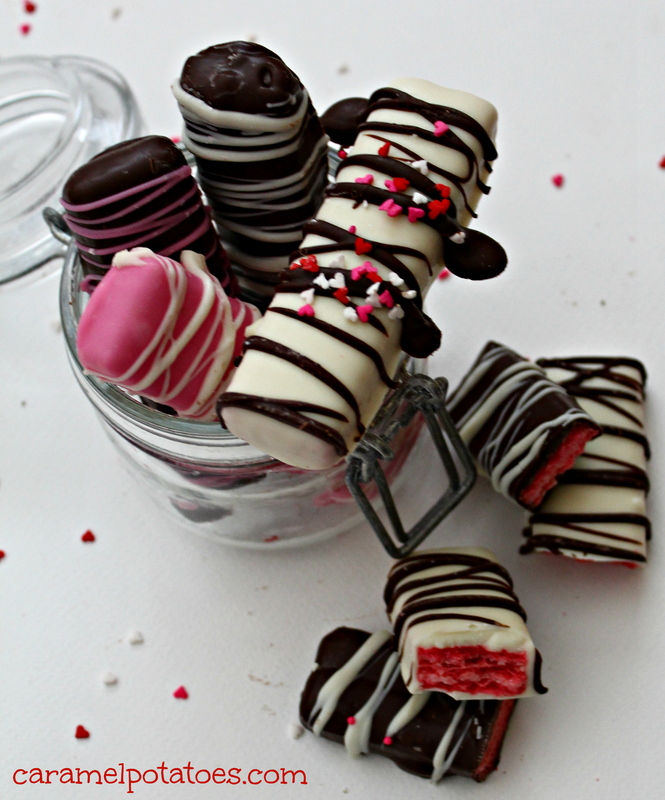 This is a simple go to Valentine’s Day treat that is perfect for anyone. 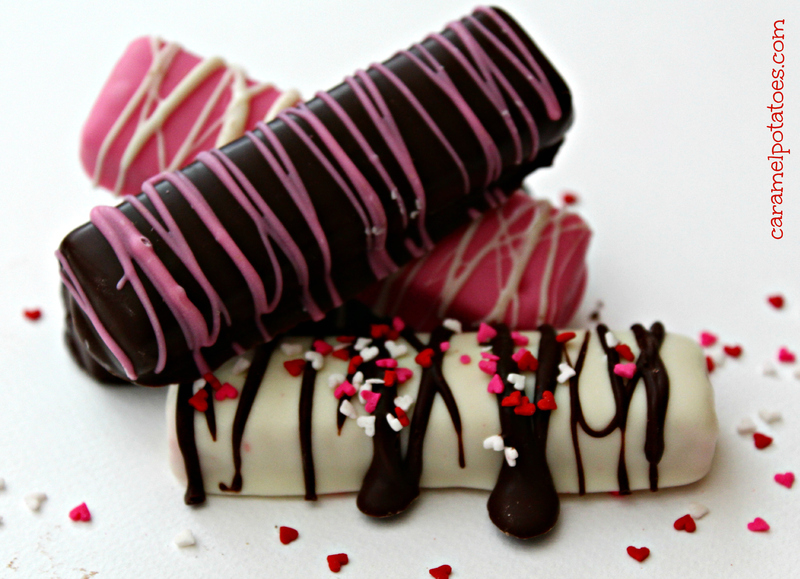 Perfect to serve at a party or give as a special treat to that special someone, or even someone not so special. 😉 These can be done with any type of chocolate (I like to use Ghiradelli Melting Wafers.) and can then be decorated in any way or not at all. I promise these little crisps are delicious. I am pretty sure that I consumed more than I actually got done to photo. Line a baking tray with wax paper; set aside. Melt chocolate according to package instructions. Dip each wafer cookie into chocolate until completely covered. Lift cookie out with a fork and allow excess to drip off and place on prepared baking tray. Repeat with desired number of wafer cookies. Place cookies in the refrigerator until chocolate is set.